My kitten likes this toy and plays with it often. The only drawback is the inner ball does not roll freely from one side of the toy to the other. It gets stuck at the joint in the center. This is such an adorable cat toy! It was super easy to assemble! My kitties started playing with it immediately, which is really saying something because cats be cats. Highly recommend!!! 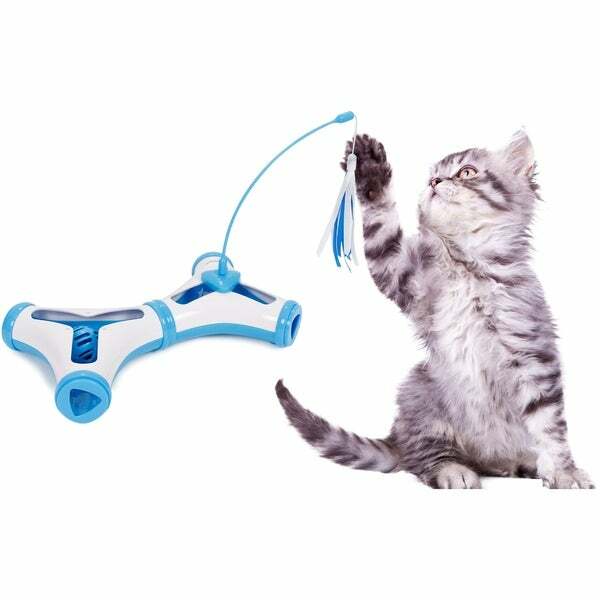 Great toy to keep young kitties busy! !